You are here: Home / News / Berkeley Springs Unique Items! Berkeley Springs has some new items that are perfect to complete any home! Check out our latest antique pieces! 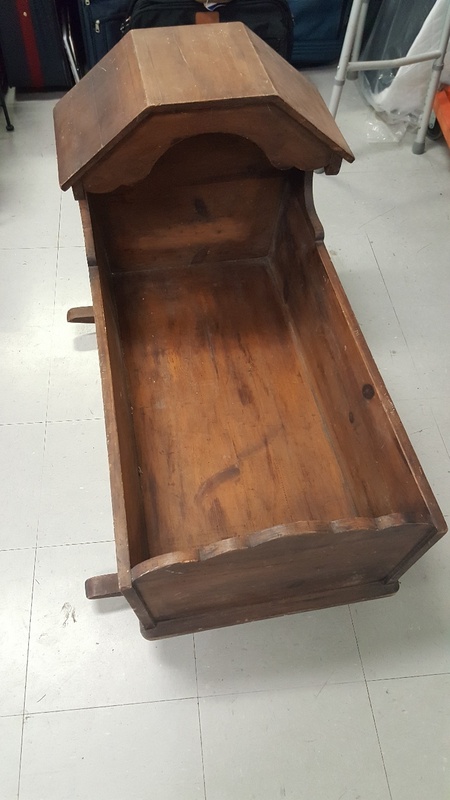 This solid wood cradle is a perfect decorative piece at $75.00! Strong enough to hold multiple items; this cradle is ideal for toys, babydolls, flowers or even magazines! Do you need a way to upgrade your living room or dining room? Do it with a lamp shade! 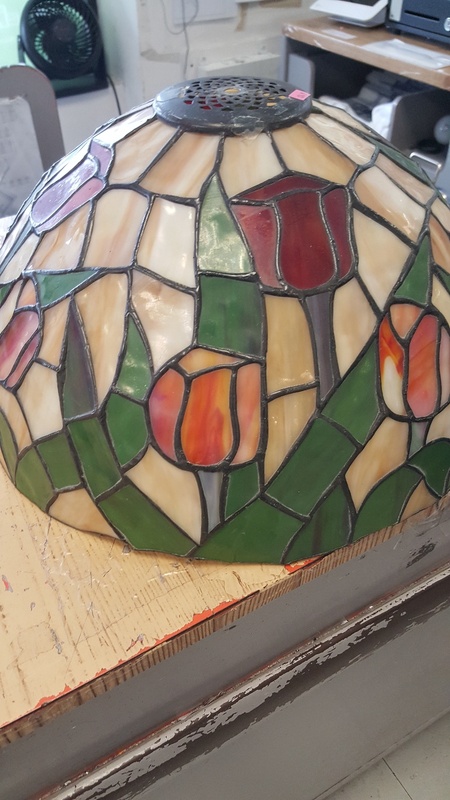 This “Tiffany” Style stained glass lamp shade is perfect for any style room! At $24.99, the lamp shade is a steal! You can check out both of these pieces at Morgan Square Shopping Center located at 70 Morgan Square Berkeley Springs, WV 25411 or call us at (304) 258-6685 for any additional info or questions !